I arrived in Ireland on January 2nd from warm and sunny Australia. After a 21-hour flight, the bus ride down to Gorey, Wexford (in southeast Ireland) flew by and I was picked up by Denis (one of the program directors). I started my internship at the Carrick archaeology site, itself located in the stunning confines of the Irish National Heritage Park, the very next day. As the students had yet to arrive myself, Maddie (who coordinates the site laboratory), Denis and I spent my first couple of days cleaning out the office – after recent construction and renovation works. Now I won’t say the office is now as nice as the view from the dig site but in my unbiased opinion, it sure is close! Skipping over most of the weekend (which I was lucky enough to enjoy with Tara the homestay coordinator and her family, so thanks Tara! ), I spent Sunday night at a minor Presentation by Denis and Steve (the other course director) welcoming the students to the park and introducing us to our homestay families. I was placed with Jackie Gilgannon, her family, and two other students called Tom and Phillip. Tom is an Australian from South Australia and Phillip an American from North Carolina. The homestay also has 3 dogs and Jackie made us all feel very welcome. 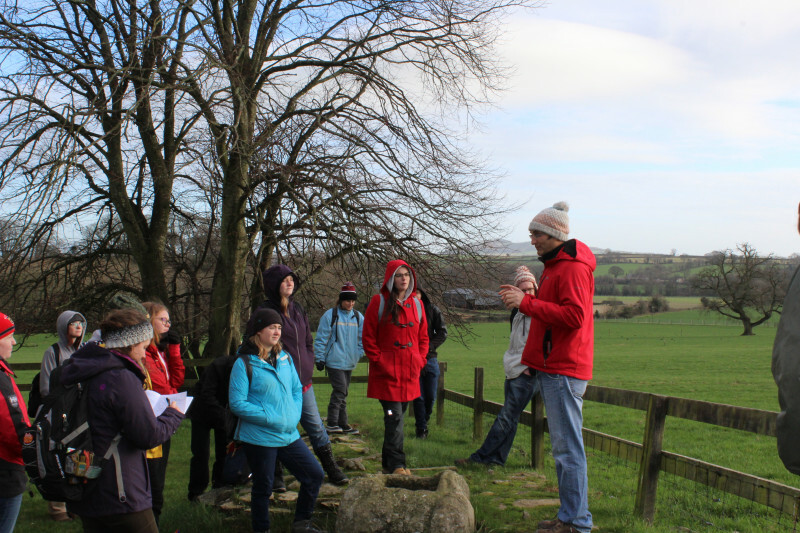 On Monday we explored the local countryside including Roches castle a 16th century castle directly across the River Slaney from the dig site. It made for AMAZING views. 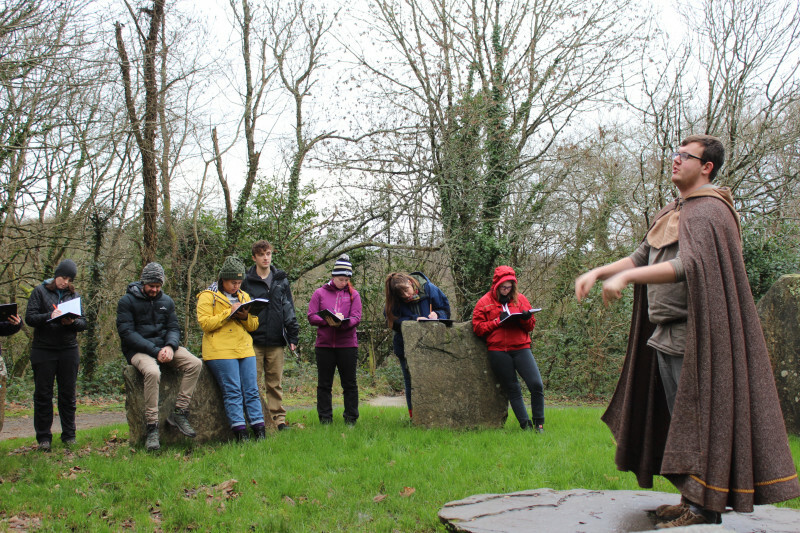 That morning also involved a lecture on the history of the Carrick site. The students were extremely tired, but Denis’s delivery of the course information and history had many laughing and excited. Jack, from the park, also provided an enthralling tour of the Irish Heritage Park and took us through 9000 years of Irish history. On Tuesday we all received another lecture and after this packed on to the bus for our first out of town field trip. The group had 19 students and me. Our major stop was Ferns Castle, an amazing Norman castle built by the Marshal family in Ferns (north Wexford) in the early 13th century. The castle contains one of the finest castle chapels in Europe, with fantastic surviving carved stone decoration. 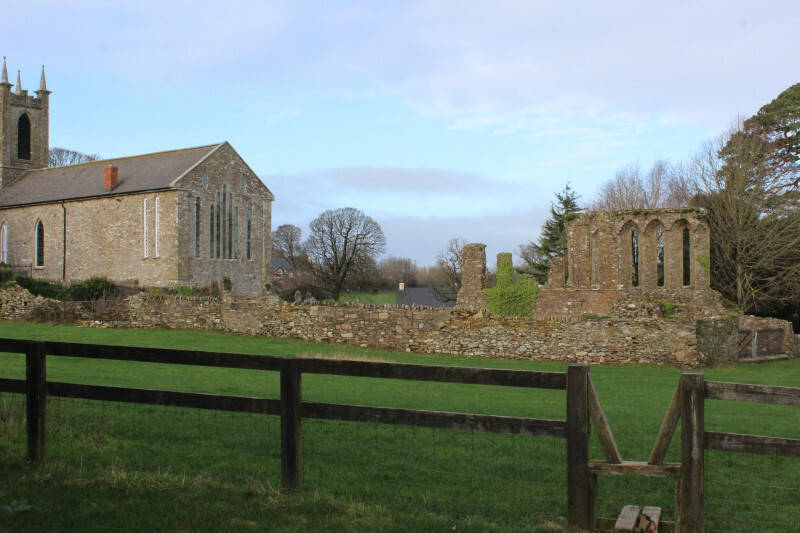 This castle has a direct connection with our site at the Irish Heritage Park, as the stone castle at Carrick was also built by the Marshals in the early 13th century. We were also kindly given a tour of the history of Ferns, in tapestry form – based on tapestries created for Ferns Castle visitors centre by a local tapestry group. The afternoon was filled learning how to do a site plan and take baseline coordinates. Wednesday was our last day of tours and we spent it on the south coast exploring the Hook lighthouse - the oldest ‘continually running lighthouse in the world’ at over 800 years old! To put it mildly, it was beautiful down there and the tour guide was a wonderful lady who had answers to all the questions the students asked. We also celebrated Hannah’s (one of the students) birthday and Steve nicely purchased her a book that we all signed. Thursday we finally got into my favourite part… digging! After a site induction and talks on how to be safe on a worksite the group was split into two groups and assigned a cutting. Cutting 1 was by far the ‘superior team’ and everyone got along well making jokes while cleaning the cutting face. 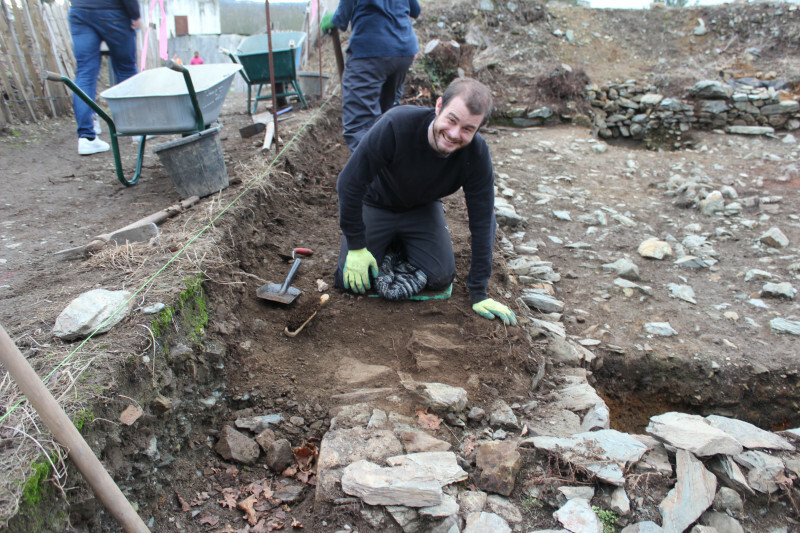 Cutting 2, led by Richard’s example, was humble in its ability to find artefacts and by the Friday afternoon were very tired from walking back and forth from the office to empty finds trays. On Friday we packed and cleaned up and headed to the pub – tired but content after a great first week!